Featured image: One of the most significant thinkers of the Islamic Golden Age, Avicenna, who is considered a national icon in Iran. Since the West (the P5 +1) and Iran agreed to a nuclear deal, there has been criticisms from Israeli hardliners like Prime Minister Benjamin Netanyahu have been relentless. Netanyahu called it a “very bad deal” fearing that Iran can develop a nuclear weapon capable of reaching Israel or even the U.S. despite the fact that they signed the Nuclear Non-Proliferation Treaty (NPT). Time and time again, Iran has maintained that their agenda is for peaceful purposes. Sixteen U.S. intelligence agencies had confirmed that Iran had “abandoned its nuclear weapons program years earlier” according to a 2012 New York Timesreport. Despite all of the negative publicity the Iran Nuclear Deal had received from both Western and Israeli hardliners, there is a positive aspect to Iran’s growing science and technological industry currently taking place. « In the report, Science-Metrix says the number of scientific publications listed in the Web of Science database shows that the standard growth in the Middle East, particularly in Iran and Turkey, is nearly four times faster than the world average. The Maragheh Observatory was built under the leadership of Nasir al-Din al-Tusi who was an astronomer, biologist, mathematician, philosopher, physician and physicist which is located in the heights west of Maragheh, East Azerbaijan Province, Iran. 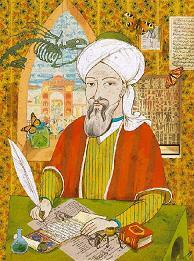 Iran has also contributed to Astronomy in the early 10th Century where Astronomer Abd al-Rahman al-Sufi who was the first to record another galaxy outside of our own galaxy calling the Andromeda galaxy the “little cloud.” These are some of the examples of how Iran has contributed to scientific knowledge throughout its history.